Join Charlena at the 5th Annual Hohner Avenue Porch Party (HAPP), a fun neighbourhood grassroots festival! We perform on a porch and the street is blocked off for the day! 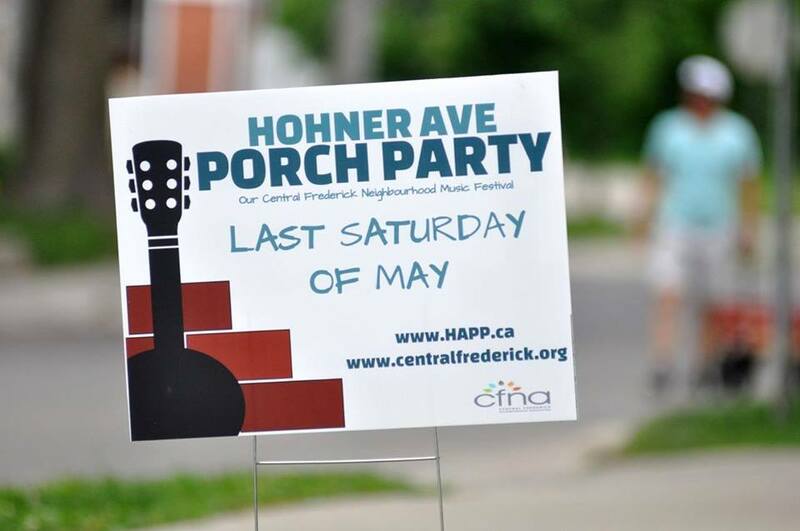 Hosted by the residents of Hohner Avenue and the Central Frederick Neighbourhood Association attendees will be treated to live music in our beautiful downtown neighbourhood. 35 bands will play on the front porches and guests will be treated to a variety of styles played by Waterloo region bands.